Anupam Kher, who has just been nominated for a BAFTA, is all set to portray the role of former prime minister Dr Manmohan Singh in The Accidental Prime Minister, the shooting of which has begun in London. 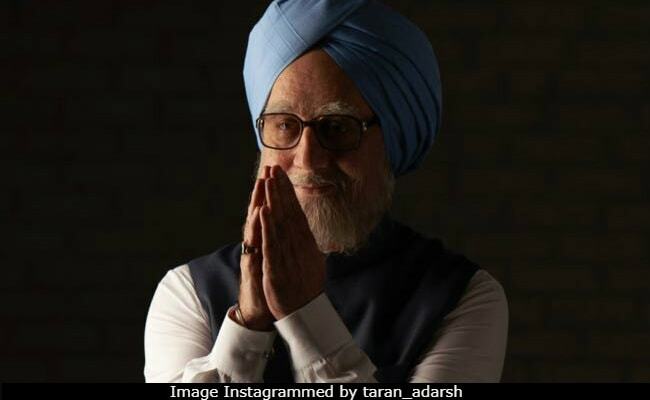 On Thursday, trade analyst Taran Adarsh shared the first look of Anupam Kher as Manmohan Singh and the uncanny resemblance between the actor's onscreen appearance the former prime minister in real life will indeed make you do a double take. Directed by newcomer Vijay Ratnakar Gutte, The Accidental Prime Minister will be an onscreen adaptation of Sanjay Baru's book of the same name, who served as the media adviser to the former Prime Minister. The first poster of the film released in June last year, in which there was only a glimpse of Anupam Kher's onscreen persona. At that point, the Internet appeared rather curious to know if The Accidental Prime Minister will have any dialogues. Dr Manmohan Singh, whose tenure as prime minister was from 2004 to 2014, was revered for his political acumen but was often criticised for his failure to speak. Written by National Award-winning filmmaker Hansal Mehta and directed by Vijay Ratnakar Gutte , the political drama will have Anupam Kher co-starring with Akshaye Khanna. The Accidental Prime Minister is slated to hit screens in December this year. Anupam Kher was last seen in Aiyaari and has just been nominated for Best Supporting Actor in the British Academy Television Awards for his role in TV movie The Boy With The Topknot.